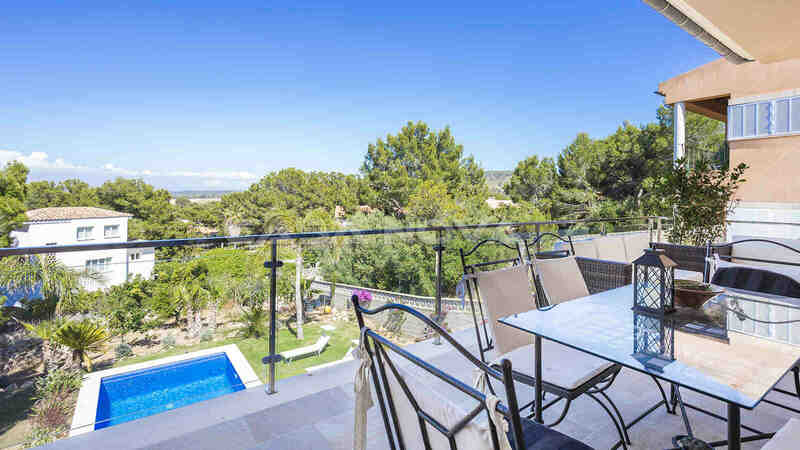 Real Estate Agent Mallorca: This beautiful villa with pool is located in walking distance to the beach, in El Toro, in the southwest of Mallorca. 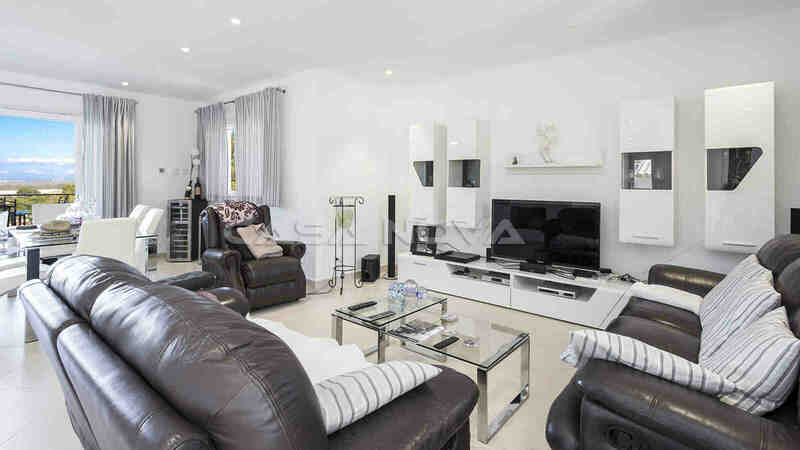 The fantastic property stands on a plot of approx. 950 m2 and has a living area of approx. 250 m2. 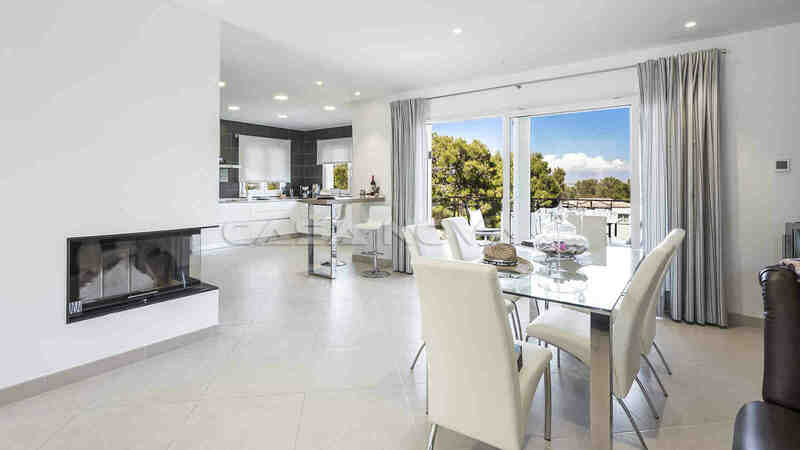 The layout is as follows: a bright, spacious living / dining room with access to a terrace with panoramic view, a modern equipped kitchen with electrical appliances, 5 bedrooms with fitted wardrobes, 3 bathrooms (one of them en suite) and a storage room. 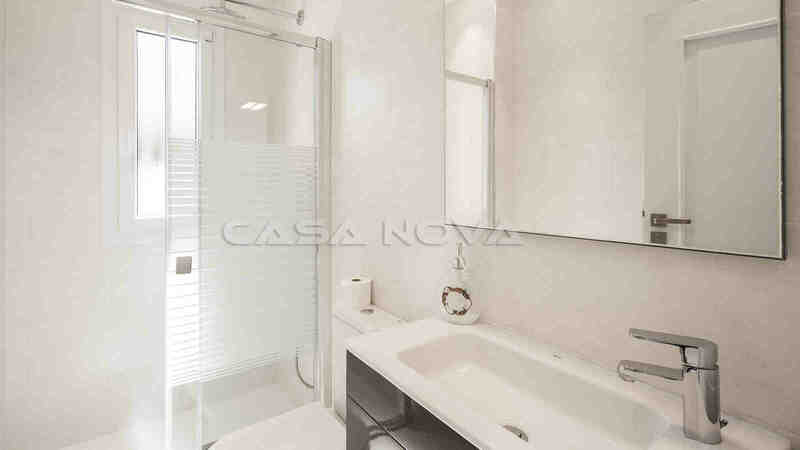 In the exterior area there is a large inviting pool of approx. 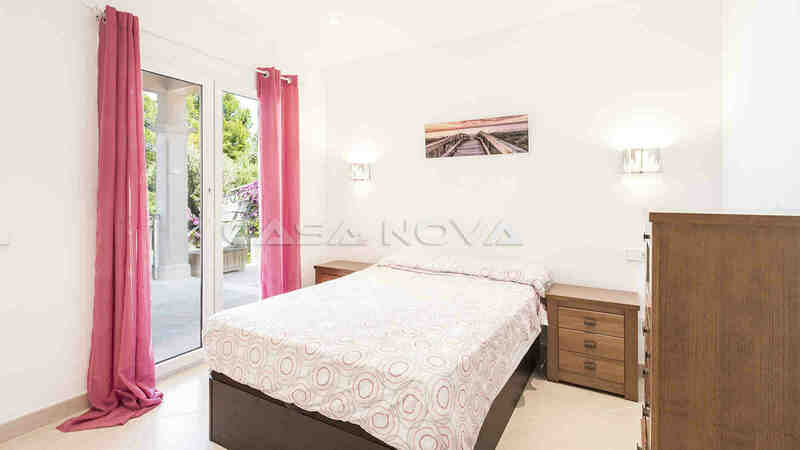 60 m2 with a pool house as well as Mediterranean garden, equipped with automatic irrigation, where you can enjoy the sunny days on Majorca. The property is equipped with: underfloor heating, air conditioning warm/ cold, double glazed PVC windows, fitted wardrobes and tiled floors. 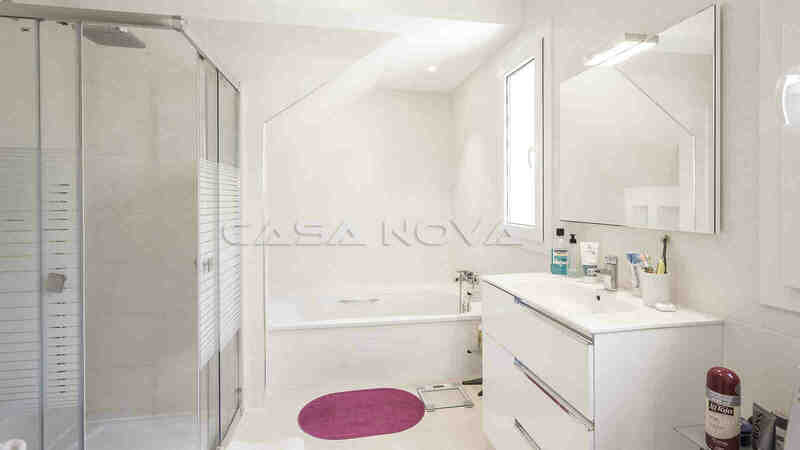 There is also a pre-installation for sauna and jacuzzi. There are 3 parking spaces to your disposal. El Toro is a favorite locality in the southwest of Mallorca. Close there is the noble yacht harbour of Port Adriano, which was built by the star architect, Phillip Starck. Various golf courses and sandy beaches are in close vicinity. Here you have international doctor centres and chemist shops and various shops for the everyday need. The center of Santa Ponsa is rechable in approx. 5 minutes with the car. 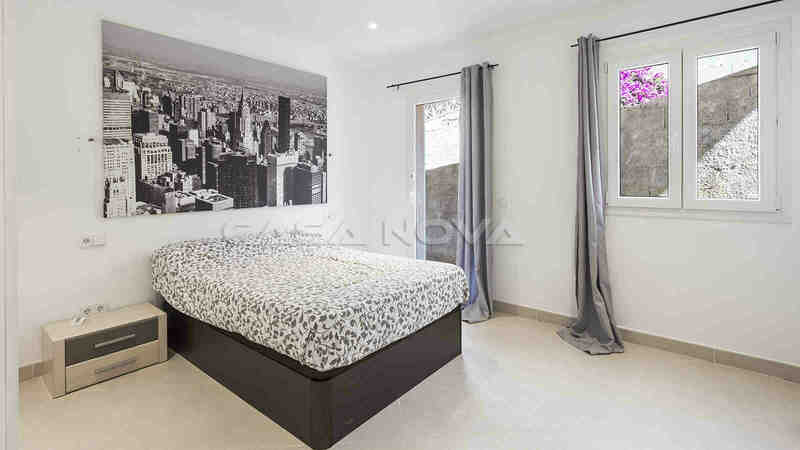 From this real estate on Mallorca you reach the international airport in approx. 30 autominutes. The capital of Palma de Mallorca is accessible in approx. 20 minutes with the car. 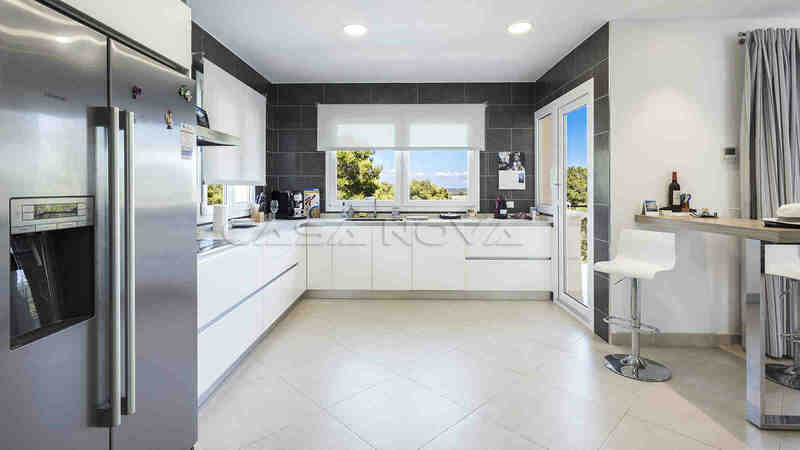 This villa Mallorca is presented to you by your estate agent Mallorca and specialist for the southwest of Mallorca, Casa Nova Properties in Santa Ponsa. For the buyer originates no agency comission.